An expanded Cherry Blossom Festival this year means more opportunities to soak up Japanese traditions. 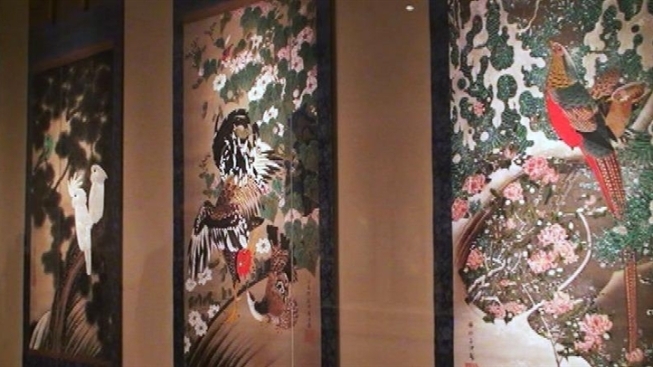 In honor of the trees' centennial year in D.C., the National Gallery of Art brings us Colorful Realm: Japanese Bird-and-Flower Paintings by Itō Jakuchū (1716–1800), an exhibition of traditional Japanese art dating back to the 1700s. At the center of the monthlong exhibit is a collection entitled "Colorful Realm of Living Beings," a 30-scroll set of bird-and-flower paintings created by 18th-century Japanese artist Itō Jakuchū and owned by Japan’s royal family. Says the gallery: "Synthesizing numerous East Asian traditions of bird-and-flower painting, the set depicts each of its 30 subjects in wondrously meticulous detail, but in such a way as to transcend surface appearances and capture the otherwise ineffable, vital essence of the cosmos, the Buddha nature itself." This exhibition will mark the first time the collection has been viewed in its entirety outside of Japan. It's open through the end of the festival on April 27.